Digitalised and networked QA systems are booming! Industrial image processing is leading the way with record-breaking growth rates. 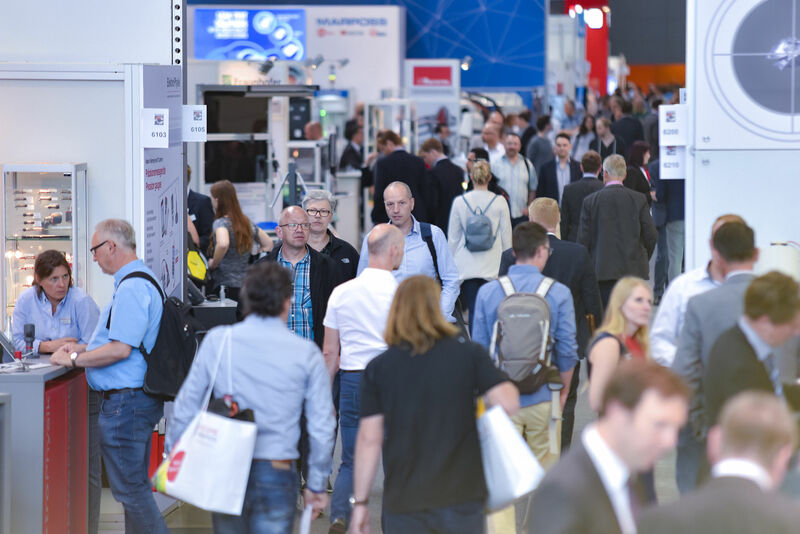 And not only will industrial image processing and the associated components be presented by the Control international trade fair for quality assurance at the Stuttgart Exhibition Centre from the 7th through the 10th of May, 2019, but rather Industry 4.0 compatible measuring technology, sensors, QA software and much more as well. Expansion of Control into hall 8 will provide trade fair promoters P.E. Schall GmbH & Co. KG with the unique opportunity of thematically structuring the QA trade fair into individual blocks of expertise for the exhibitors and the expert visitors. In the future, hall 8 will be the central platform for QA systems, QA software and QA services. Furthermore, this significant increase in floor space at Control makes it possible to fulfil the long-standing desires of many exhibitors for larger booths. In the future, visitors will be able to simply and concisely inform themselves concerning corresponding product and service offerings exhibited by as many as 80 to 100 manufacturers and distributors in a compact format. This restructuring of Control is intended to accommodate the growing demands being placed on the QA market, which is currently experiencing dramatic transformation due to, amongst other factors, digitalisation and the necessity to become consistently networked. This transformation is also made apparent by the rapidly growing sector for industrial image processing and image systems: “During the last 10 years, turnover has doubled for the German industrial image processing sector. On the average, the sector grew 13% per year between 2013 and 2017, and alone last year it experienced an increase of nearly 18%” – this is the message included in the current press release issued by the VDMA’s department for industrial image processing. According to the latest surveys, the VDMA expects that the record-breaking level of €2.6 billion will be maintained in 2018 as well. This is due to the fact that, for good reason, the electronics and automotive industries have a greater propensity to invest than ever before. Despite all of the challenges resulting from trade regulations and the lack of qualified personnel, the industry sector is in good spirits according to the VDMA and the growth trend will continue. Image processing is more important than ever in production. New fields of application or opening up continuously in routine daily industrial practice, as well as in the area of mobility, for example in the case of autonomous vehicles for intra-logistics, as well as for freight forwarding and passenger traffic. Beyond this, refined industrial image processing and vision systems are also replacing numerous conventional measuring and test setups. Industrial image processing and vision systems, as they’re presented at the world’s leading trade fair for quality assurance, are continuously in use in order to improve quality, increase reliability and enhance safety. Corresponding keywords include embedded vision and deep learning. Globally recognized experts agree that image processing is the key technology for worldwide automation. Thanks to networked sensor technology, modern vision systems and industrial image processing, production and assembly machines can acquire and process the required data in real time. This results in even better product quality, more productivity and a sharper competitive edge. Industrial image processing and the associated components have already been part of Control’s portfolio for many years. At the 33rd Control, manufacturers, users and expert visitors from all over the world will continue along the path to the smart factory. And this is why Industry 4.0 compatible systems are just as much a part of the portfolio of offerings as modern measuring and test systems. In order to take best possible advantage of the flood of data, flexible system solutions such as quality data management systems, as well as in-process and integratable QS products and services, will have to be incorporated into all QA processes, and these will be presented at Control in a highly practical setting: mechatronic measuring instruments and 3D metrology, microscopy and endoscopy, image processing and vision systems, manual handling of test objects and individual parts, as well as robot-aided series inspection. Exhibitors at Control will have the opportunity of presenting their companies to a focused target group within an international setting, which is why numerous market and technology leaders take advantage of the globally leading trade fair to introduce their new products to an international expert audience.